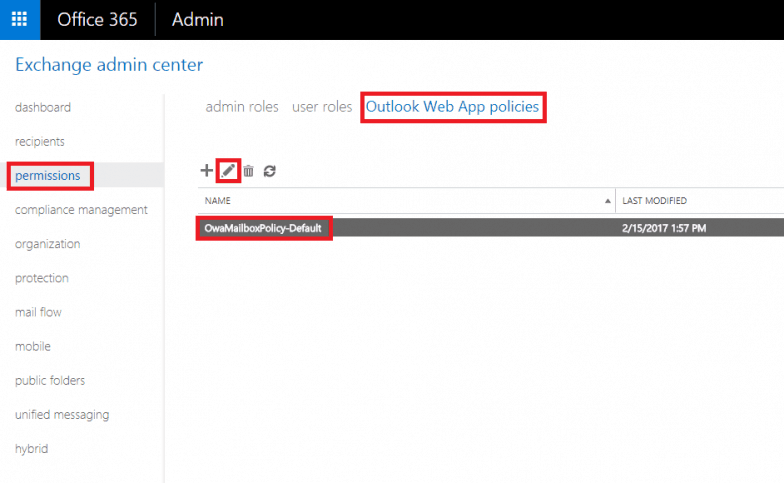 The reason you can’t add an email signature in your Office 365 OWA is because the feature is likely disabled in your OWA policy. 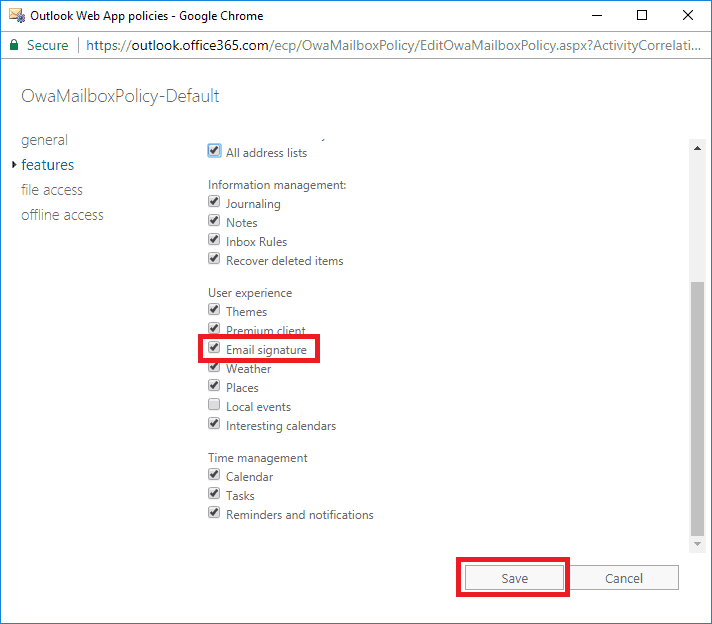 If you have administrative rights to your Office 365, you can edit the OWA Mailbox Policy permissions to allow email signatures as a feature. The email signature feature is disabled by default. If you enable the feature, it will allow individual users to set their own email signatures when using OWA, which is favorable if you aren’t using exchange injected email signatures for your business. 1. 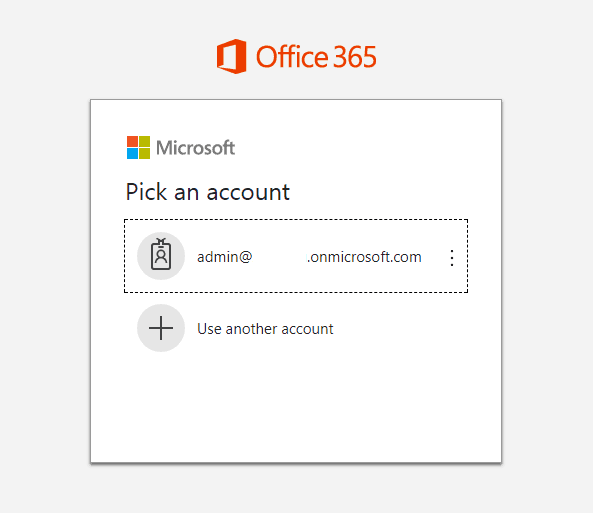 Log in to your Office 365 exchange admin center using your admin credentials. 2. From the left-hand side, click on Permissions. Then, click on Outlook Web App policies from the right. 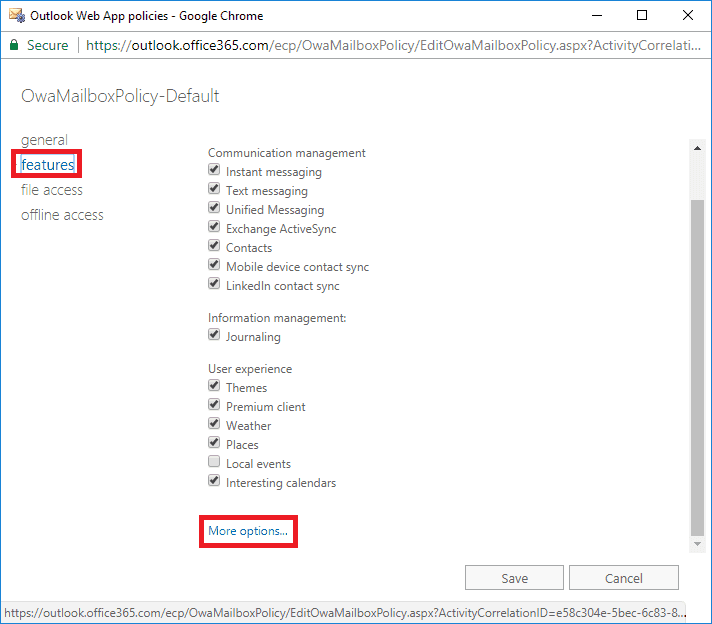 Select the default policy called “Owa-MailboxPolicy-Default” or select your policy if you created a custom one and click the edit pencil icon above it. 3. From the left-hand side, click on Features and then click “More options…” on the right side to expand the list. 4. Scroll down until you see the “User Experience” heading and tick “Email signatures” to enable the feature and click Save. 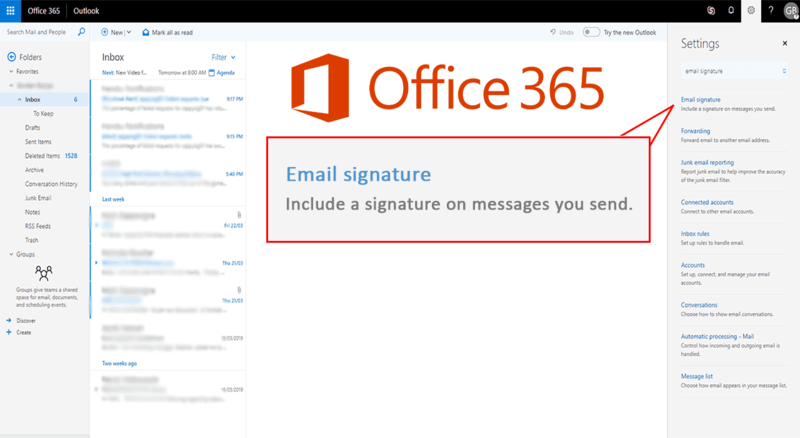 All users will now be able to install their own email signatures in Outlook Web Access.